In 2000, one of Mimi Anderson’s running friends came to the gym with a magazine in hand, excitedly announcing she had found their next race. It was an article featuring sand dunes and the blistered feet of those running the Marathon des Sables, the 250-kilometer, seven-day stage race in the Sahara Desert of Morocco. “It was so far away from my normal life that I knew I had to give it a go,” Mimi said. “Normal life” for the then-37 year old had included, so far, just one year of running and 15 years of battling and defeating an eating disorder. At age 29, after spending years thinking about food, lying about meals, and disappearing after dinners, Mimi found her recovery through hypnosis or regression therapy. The only running she’d attempted up until that point was to help her lose even more weight. At 36, after recovering from her eating disorder and with three children at home, Mimi stepped on the treadmill to run. Her first run outside–which occurred a few years later, since she thought runners just ran on the treadmill all the time–was a 10 miler with friends on the roads. 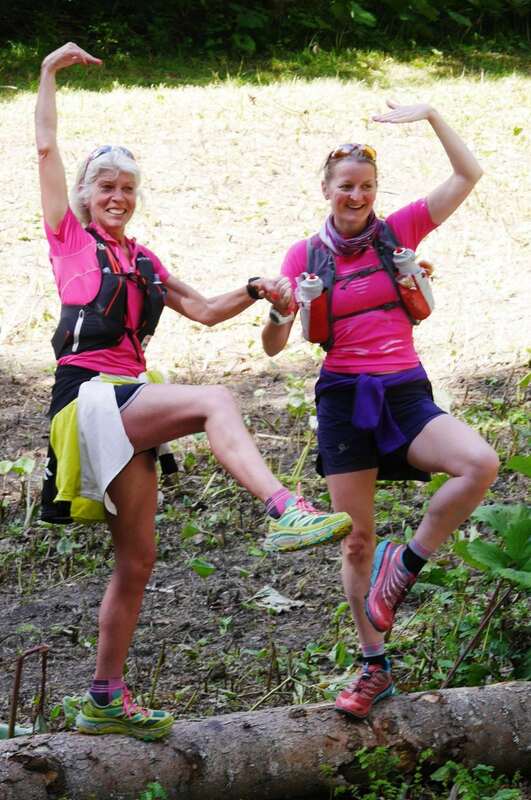 So, when her friend waved the next adventure in front of her, the Marathon des Sables (MdS), Mimi explained, “There was not one thought of, No, I shouldn’t do this, or, No, I couldn’t do this, or even, How am I going to afford this?” She knew she had to give it a go and do it. And that’s what she did. With miles of ups and downs during the race, and many lessons learned, Mimi finished the MdS. Mimi (left) and friend Becky George. Photo courtesy of Becky George. It was a real adventure for a runner who was still getting going in the sport of ultrarunning. On the first day of the race, she caught a bug that kept her sick to her stomach and unable to keep any food down. Even just sitting on the rolled-up mats taken out from the tents in the morning, eating breakfast, and watching her fellow racers get ready for the day ahead: Mimi loved every detail. “The sun is coming up and you’re looking at these fantastic sand dunes and you know it’s better than a five-star hotel,” she remembered. She was hooked from the beginning: from the miles, to the people and friendships, to the world opening up for her as a playground. What the now-55-year-old ‘Marvelous Mimi’ can do is beyond anything I can write. How do you capture in words the thousands of miles she’s now traversed? The millions of steps taken, so many tears soaked into her cheeks, the endless beads of sweat absorbed into her pink shirts, and the many smiling faces of the people with whom she adventures? I’ll try. 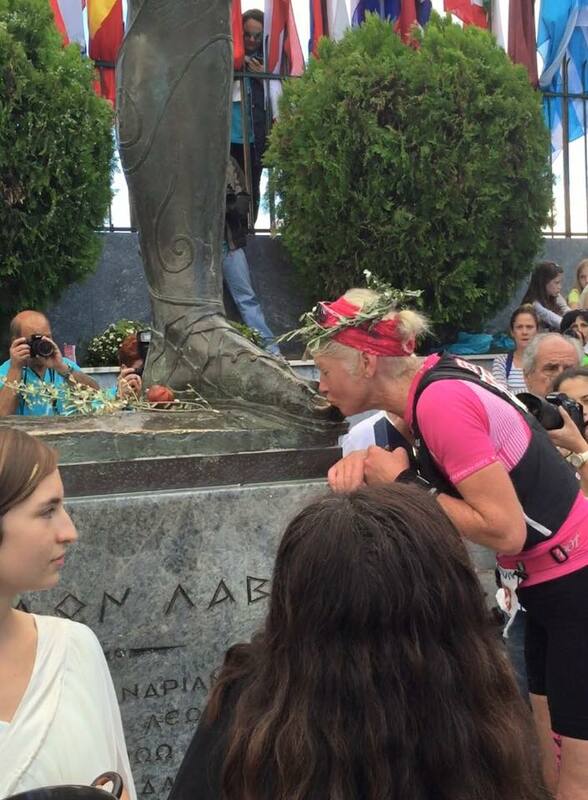 Becky crewing Mimi during the Spartathlon. Photo courtesy of Becky George. What Mimi continued to do was race the world. From her home in England, to Ireland, to the United States, and beyond, Mimi chased after bucket-list goals and Guinness World Records. After the MdS, it was back to the United Kingdom for the Oxfam Trailwalker UK and then it was the Grand Union Canal 145 Mile Race. With her small children in those early years, Mimi stayed close to her home in Kent, England. She moved there with her husband, Tim, after literally drawing a circle on a map around the city of London, looking for place with a decent commute that lay within the pen line. Mimi herself was born in Singapore while her father was in the military. They traveled and lived in many places until settling down in Edinburgh, Scotland when Mimi was 12. She took medical-secretary courses rather than attending university, and worked several different jobs as her kids grew up. Now, her main job is training. A year in advance, Mimi plans out her big adventures. If it is a really big one, as in world-record big, then it may take up to two years of organizing, she said. Most of the time though, these adventures pop out and take a stand in her head before any of those pesky logistics questions can pop up. “I have my bucket list and it is very long. If a race comes up, then I think, I have to do that, again, with no idea how to pay for it,” she admits. She prefers to tackle inaugural editions of an event. That way, she said, you’ve got nothing to compare it to and there is no one giving you advice or warning you about a certain section of the course. 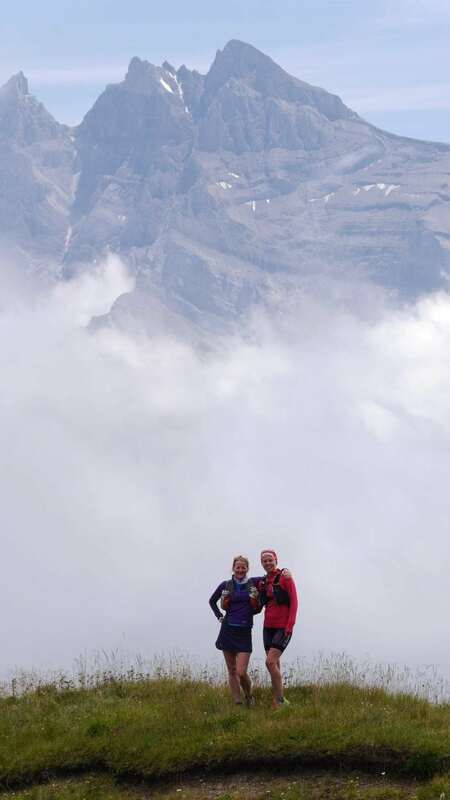 When she turned up for Badwater 135 in 2005, she was one of the few U.K. women and men who had ever done so, thus finding out information on the race was difficult, which made it more fun, she said. “It was amazing, just fantastic,” she said. “It was very, very hot. That heat is just intense. Like literally running in an oven with a hair dryer blowing on your face the whole time.” She remembers running at night, looking up ahead, seeing the trail of car lights slowly ascending the hill toward the finish line, and thinking how stunning and beautiful it all was. 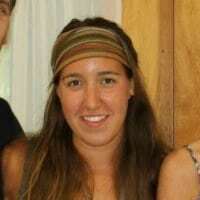 She returned in 2011 to go for the women’s double Badwater record. The double Badwater travels the route of the the Badwater 135, which connects Badwater in Death Valley National Park with Whitney Portal, the end of the road that climbs up the side of Mount Whitney, all in California–out and back. Then, the route also includes using the hiking trail which begins at Whitney Portal and climbs up to the Mount Whitney summit and back down again. All told, the double Badwater is a 292-mile route connecting the lowest and highest points in the continental U.S. Mimi set a new women’s record by 21 hours, finishing in 108 hours, 10 minutes, and 24 seconds. When it comes to most races, Mimi prepares with back-to-back long runs, usually building up to 30 to 40 miles per run during the week. She saves her shorter recovery runs for the weekend so that she has time for her non-running family. For a stage race, Mimi will increase her backpack weight over a few months and will run with it about three times a week. When she trained for the 2007 6633 Arctic Ultra, a 352-mile self-sufficiency non-stop race in northwest Canada, she trained with an old tire, dragging it throughout the forest for four to five hours to build strength and endurance, twice a day. And when it comes to Guinness World Record and course-record attempts, Mimi goes all out in training, planning, and executing. When it comes time to race, she said, Mimi puts everything out on the course. 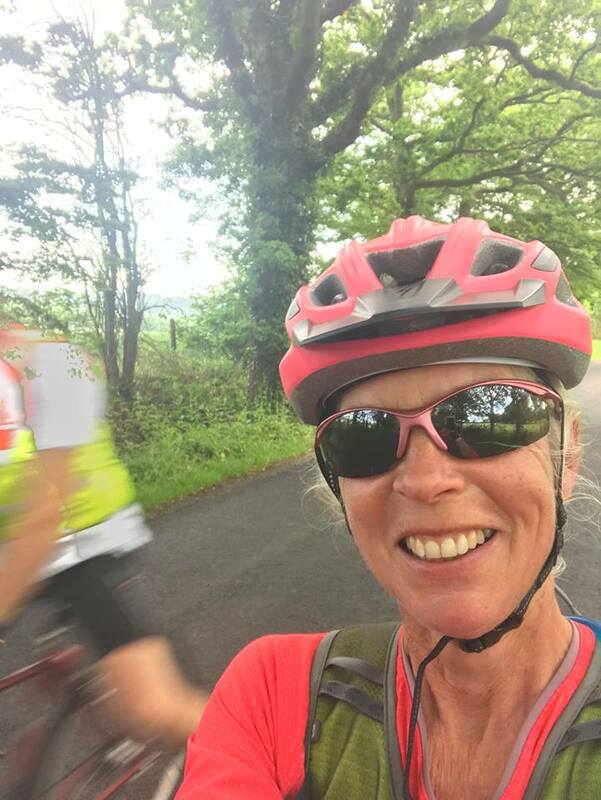 So when she was making her way down from the most northern spot in Great Britain, John o’Groats, to the most southern spot, Land’s End–a journey that’s affectionately acronym-ized to JOGLE and is 838 miles in length–she was aiming for both: a female record and a good, long run. In 2008, Mimi received an out-of-the-blue email from a friend telling her she should go for the JOGLE. At the time, she had never heard of it, yet within a few months she was applying to Guinness to make her effort an official Guinness World Record attempt. After gathering up a crew and sponsorships, she took off south, heading into the hottest week the region would have that year. Though great for a tan, she said, the heat and the traffic were brutal at times. Her right arm was swiped by a car, causing it go numb for the rest of the journey and to this day, she has no answer as to why her upper body and face swelled up to a balloon size. Carrying the same type of GPS tracker used by those trying to stay safe in war zones, Mimi ran through the country with friends and family watching her pink dot on their computer screens at home. Throughout the run, it was very touch and go as to reaching the record, Mimi said, and by the last day it was a real fight. “The sun was shining and I was feeling good and then I was stopped by a policeman for 45 minutes for traffic issues!” she exclaimed. “At that point, I just presumed I wasn’t going to get the record; you know 45 minutes is a long time to lose especially when you’re exhausted. It started raining and I had to warm up my blistered feet and I was very despondent. There was no light at the end of the tunnel. Then I saw a sign on the side of the road that said ‘Penzance, 13 miles’ and I thought, You know what Mimi, you can do that. That’s a half marathon. Somewhere the light was flicked back on and I only beat the record by about 37 minutes because of this policeman!” Her time was 12 days, 15 hours, and 46 minutes. During those 838 miles, not once did she want to stop. Sure, she had those bad moments, but Mimi kept that record in mind. To help provide safety while she was running the roads during this record attempt, her husband rode near her one morning for five hours. Mimi said she spent those hours moaning and whining. It was painful, she was hurting and sore, and he just let her moan. “I was given a pep talk and something to eat later at the [support] RV. It comes in waves and you have to ignore the wave of negativity and sometimes just have a grumble to your husband,” she added. Following the JOGLE record, Mimi ran on to become the first female to finish a double Comrades Marathon in 2009. Then, in 2010 there were wins (and then-course records) of the Grand Union Canal Union and the Namib Desert Challenge. At the latter event, a five-day stage race, she was also the overall winner. Also in 2010, she shot for another then-world record by running the most miles in seven days, which she successfully fulfilled on a treadmill in a shopping center in Kent. She ran just over 400 miles, with a stress fracture that caused a broken toe on her third day in. Unfortunately, she missed her goal of beating the male record, she said, but she did enjoy people watching all of the shopping-fanatic women and bored-looking men. She completed the Spartathlon in 2011 and then in 2012 she tackled another over-island adventure, this time in Ireland. The route is called Malin to Mizen–referring to Malin Head and Mizen Head at one end of Ireland and the other. She ran the 345 miles from north Ireland to south in three days, 15 hours, 36 minutes, and 23 seconds. Afterward, while celebrating with champagne, Mimi and her crew could only muster a few sips before they all fell asleep in their chairs. Also in 2012, she finished the Viking Way Ultra, a 146-mile trail race in England. 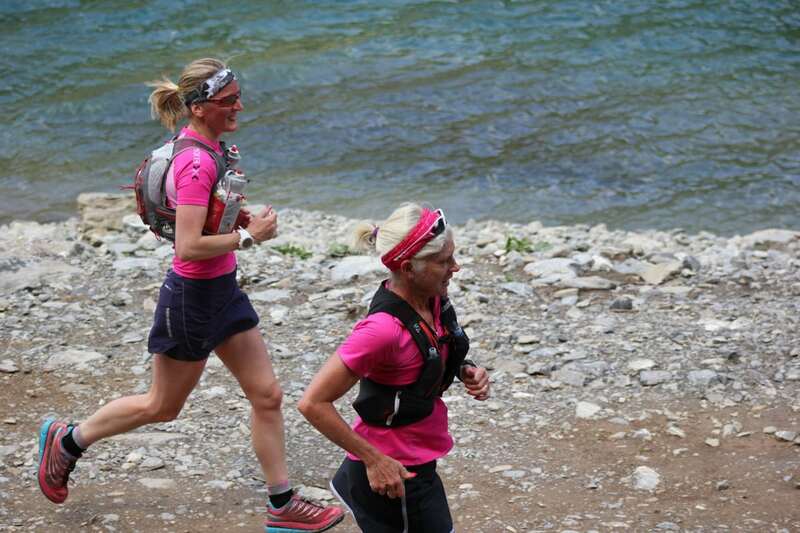 In 2013, she became the only person to finish a double of the Grand Union Canal Race. 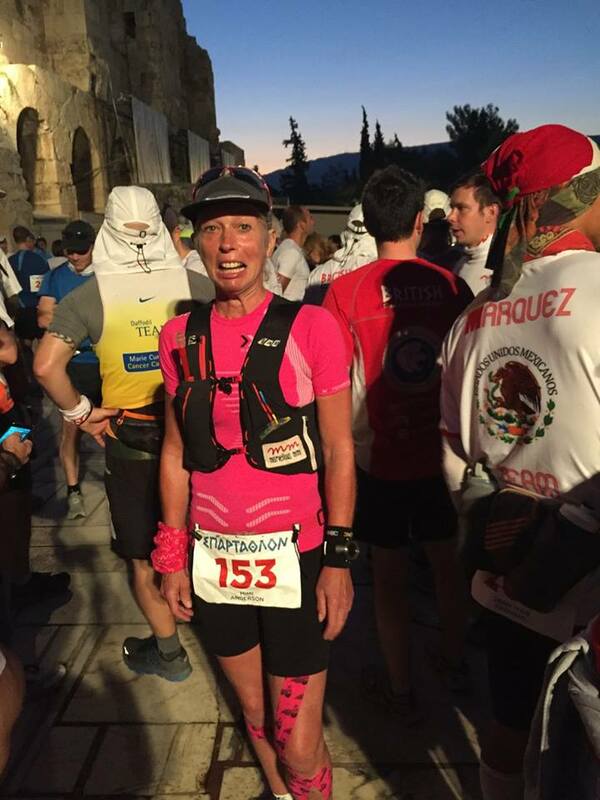 In 2014, she was the only finisher of the 135-mile Cyprus Ultra and she completed one of her most favorite endeavors, what she called the Freedom Runners Challenge across South Africa. 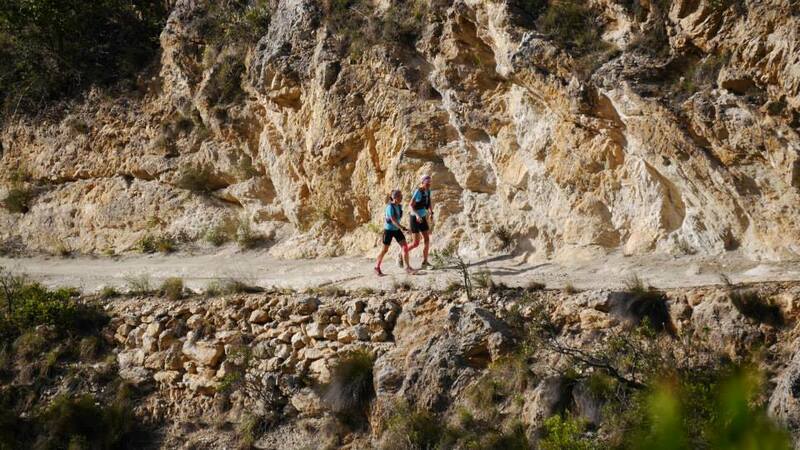 Looking for a challenge, Mimi and Australian runner Samantha Gash teamed up and ran 1,968 kilometers from Pietermaritzburg to Paarl in South Africa in 32 days. The route is along the Freedom Trail and already is used for a bike race, so when Mimi called the race organizers with her idea, they were fantastic in helping her see it through. With a crew vehicle and a security guard–a man named Iggy who was running a 10k a day by the end of their trip–they ran across an amazing countryside with even more incredible views. Each night, the crew would stay at locals’ houses, becoming a part of each family, Mimi said. Plus, she was often lucky enough to stay in the little girls’ room, which was pink, her favorite color. The run raised money for the nonprofit Save the Children, which provided 400 South African girls reusable feminine hygiene products. 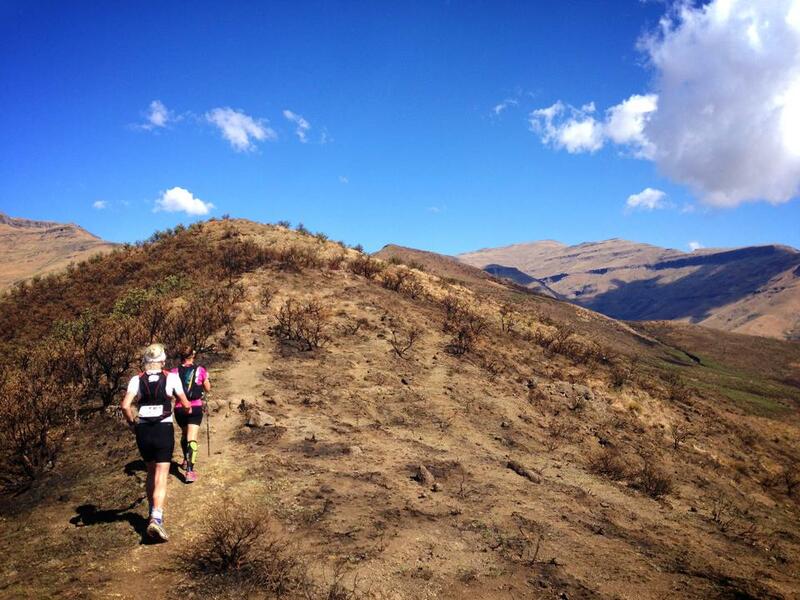 Mimi and Samantha Gash running through South Africa. Photo courtesy of Samantha Gash. Now, fast forward to 2017. 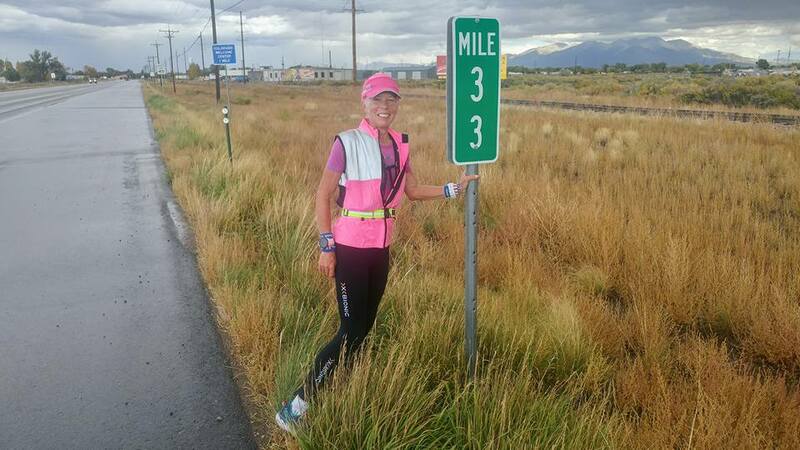 After knee surgery in 2016, Mimi was ready to undertake the longest adventure of all, running across America. “It is the ultimate road run, isn’t it?” Mimi asked, when I brought it up. The plans circled around her mind back in 2001, but with the magnitude of planning and organizing, especially for someone not even living on the continent, Mimi needed a time when she was absolutely ready. With Google Maps, Mimi tracked out a route from Los Angeles, California’s city hall to the George Washington Bridge in New York City, New York. In between was a series of trails, roads, sidewalks, and many surprises to come. Several dedicated, supportive friends came out to help Mimi on her journey, including her husband and good friend Becky George, who has been helping Mimi on her adventures for the last 10 years. 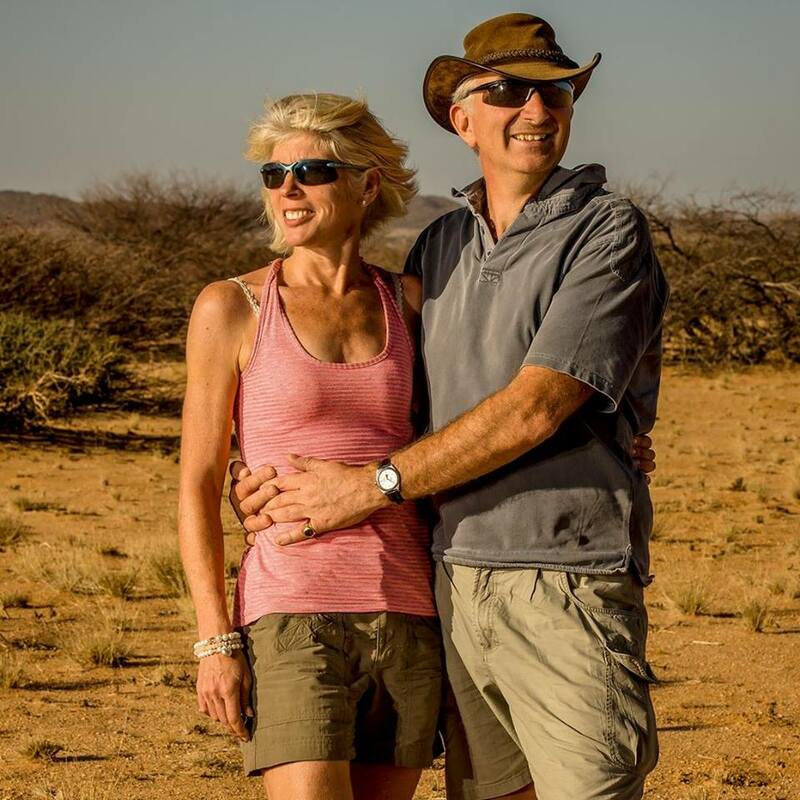 In this adventure, she may not have been standing alone in the middle of the desert as she was back in her first big adventure at the Marathon des Sables, yet she was still taking in the same awe-inspiring sights. The sunsets each morning, the very cool yet odd rock formations, traversing historic Route 66, and learning about the breeding migration of Colorado tarantulas. Windy Kansas blew her into the next state, and the rattlesnakes in Arizona were an unpleasant surprise she hadn’t known about ahead of time. In the first 2,000 miles, Mimi was on her way to breaking the record with time to spare and stories to tell, but the happiness ended there. Sadly, she did not finish the quest. She ran for 40 days, 10 days short of her goal, before pain in her knee took her down. When she went to get the MRI results back, she still had half her running kit on and the other half was in the car, ready to restart her run if she could. She had not given up. The doctor never said she couldn’t continue on, Mimi said, but had only strongly advised she shouldn’t. He did tell her husband that if she continued, the future might hold knee-replacement surgery. “No amount of running is worth that,” she said. After completing 2,217 miles of her journey across America, she went home and hid away for awhile, not used to the failure of a goal. Mimi and Becky. Photo courtesy of Becky George. Now, as Mimi recovers from those 2,000-plus miles and an injured knee, 2018 is looking very different. There are no races on the calendar, training runs ready to log, or any crazy adventures on the horizon. The bucket list is canceled and the life Mimi once led may be in the midst of a big change. Looking back on each of her adventures, Mimi loved the fairy-tale-like moments of being the only person in the world–in the middle of the desert, the Arctic, or on the long road of Badwater. But for her, the magic also comes from those around her. For her, it was more than just running mile after mile, it was finding out what her body and mind were capable of and the unbelievable delight that came from it. “When I first started, I couldn’t even run for two minutes. When I did the MdS, the longest day was 54 miles. So, I thought, If I can do 54 miles, can I do 100?” she said. And the dreaming went on. Marvelous Mimi makes running seem marvelous, her supportive friends and family feel marvelous, and her crazy, miles-long adventures marvelous goals for others to try. 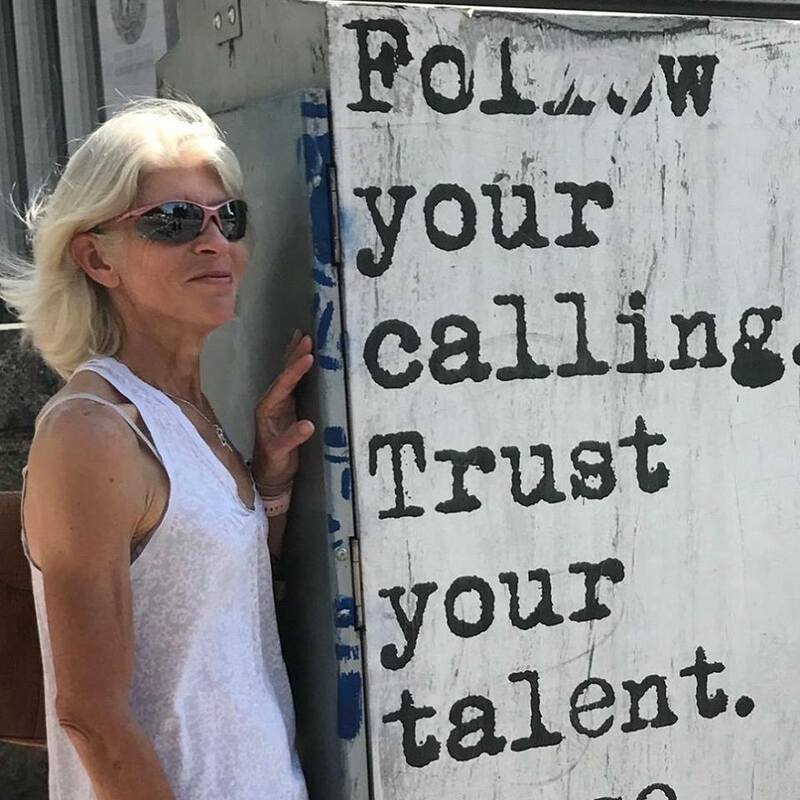 Even if Mimi’s knee keeps her from running across countries, her marvelous mind and spirit will keep her as one of the most inspirational athletes we all know. Do you know or have you run with Mimi Anderson? What stories can you share about her? The funniest thing was watching these 20 year old paratroopers looking at this more mature lady dressed in pink drinking a glass of wine the day before a 250km race wondering if she knew what she was in for, then her wiping the floor with these boys over the next 5 days!